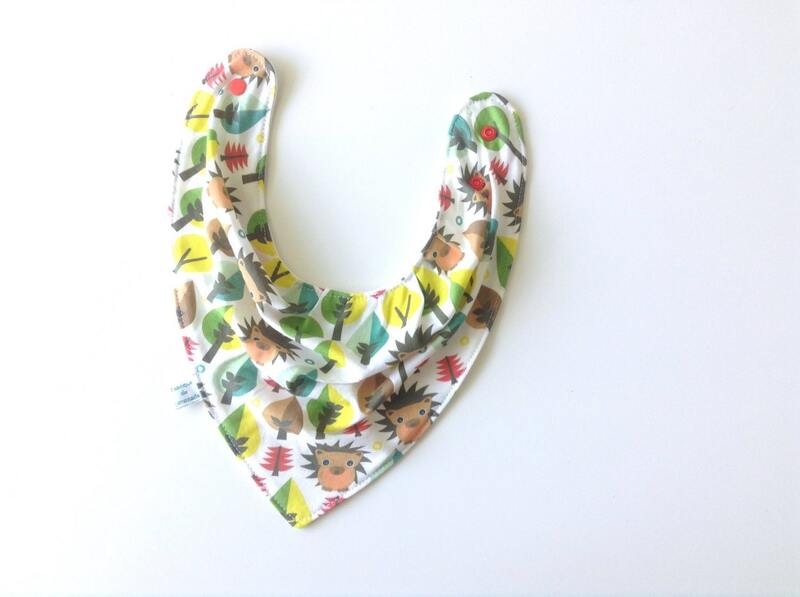 This adorable baby bandana bib is stylish and perfect for absorbing drool. The cotton knit fabric front with hedgehogs is specially designed with folds and creases to help catch your baby's drool. The backing is a soft, white cotton flannel. This bib has two snaps, making it adjustable and allowing it to grow along with your baby. 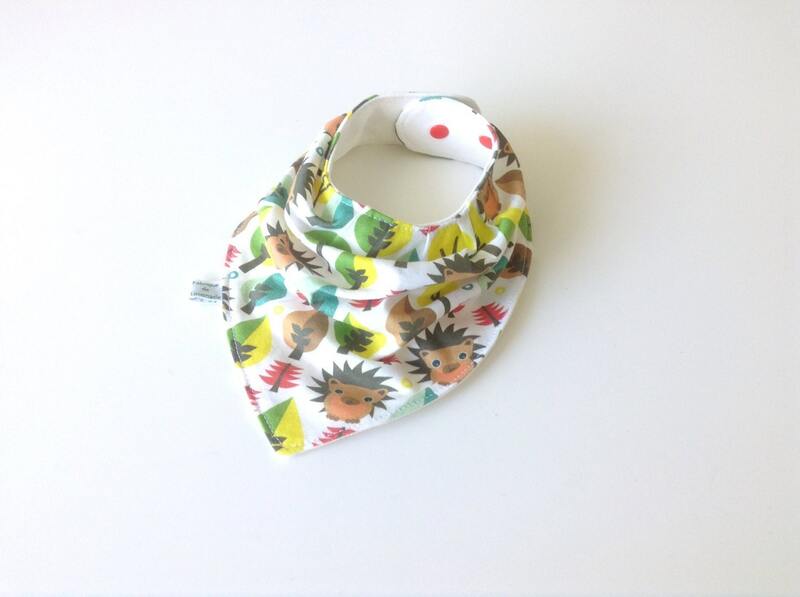 This bandana bib is light weight, easy to fold and store; it's simply very practical! Each bib is top stitched for extra durability and provides a finished look. This bib fits babies and toddlers. Washing instructions: Machine wash on low temperature.